Conflicted about what Bachelor of Commerce stream to specialize in? 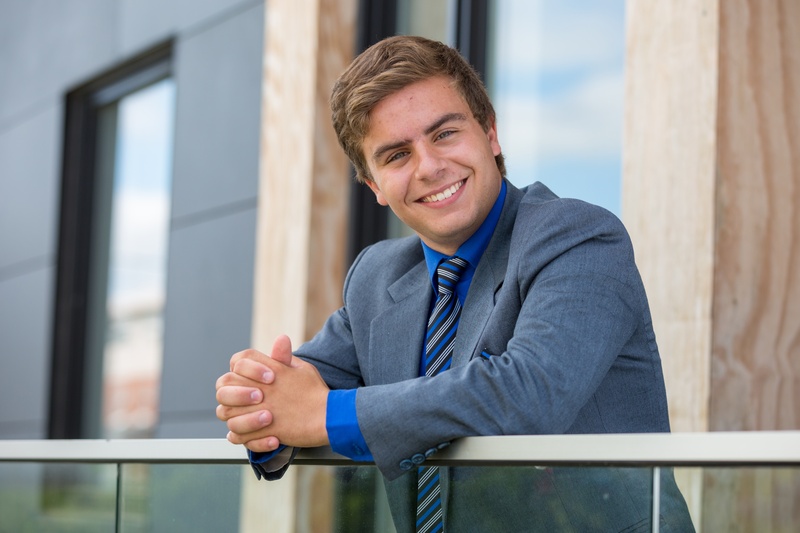 In this blog post, I'll outline my top five tips for deciding your business major or minor. Such a monumental decision needs a tremendous level of commitment, drive, vision, and career alignment. Most importantly, it's a decision that will influence your dreams and aspirations. I fondly remember when I was a second year FBIT student in the BComm program, up late thinking about the day of major and minor selection. It was now that I had to decide what I wanted to pursue beyond graduation. My dream has and always will be to provide engagement, enthusiasm, and energy to positively inspire and uplift others in creating the best possible future they can have. In doing this, I tend to believe in the reciprocity of others to create value for themselves, by working together to provide meaningfulness to those around them. That's why Organizational Behaviour and Human Resources, as well as Marketing, were the respective major and minor specializations that I chose. I knew that I could best realize my dream to provide meaningfulness in the lives of others by pursuing studies that would prepare me to test and write the exams to become a Certified Human Resources Leader (CHRL). From earning that designation, I will be able to work as a human resources professional to eventually improve organizations decisions on areas such a recruitment, training and development, health and safety, and much more that will go on to positively impact the lives of others. Here are the five tips I would give others who are starting to think about their specialization, and how I came to my decision back in my second year. Looking up to others who inspire you can help lend great perspective into what tough decisions you have that lie ahead, that they may have also faced in the past. These people could be a business person, celebrity, professor, classmate, mentor, family member, or close friend who makes you feel more capable of something just from having experiences with them. When writing or thinking about this person who inspires you, try to build a summative skill inventory about what really inspires you from that persons' experience (i.e. Mark Zuckerberg: creative, communicative, connected; or Oprah Winfrey: influential, outspoken, engaging). Depending on how many word inventories from different leaders you have, try to match these words to help create and define your personal brand. By doing this, you can hopefully see how your skills and interests align with a potential job and career. When you pursue or undertake something that you are passionate about, more often than not, it won't feel like work. Knowing this truth, try to make a list of things that you have a great passion for (i.e. drawing and creating advertising posters, solving mathematical and logic-based puzzles, training and teaching others, volunteering, etc.). From identifying your passions, ask yourself how you might be able to make a career from that passion. The synthesis of your passion or unique skill as a task for something could not only increase your level of motivation for your career but allow you to actively embrace the future of your career that much more. By following your passion, you may one day create new industries, ideas, and entrepreneurial enterprises for others one day to follow! Networking can be very helpful when making tough decisions such selecting a major or minor or a potential career path. I would encourage you to get you to know and speak with your academic advisors, professors, and FBIT societies and groups on campus to learn about and attend networking events. By going to such events, you can ask business people in a certain field of study why accounting, human resources, or any particular business major or minor focus was right for them. By putting a career focus on your potential specialization, you will become one step closer to studying in university courses that give you greater motivation! 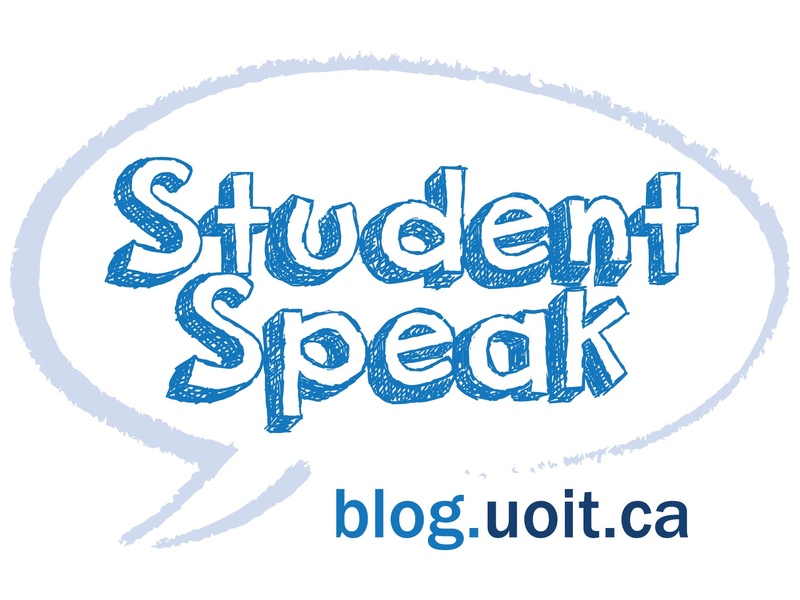 You can learn more about networking events on the UOIT Career Centre website. Building from the advice in tip three above, a great way of putting that into practice might be to look at joining or getting involved with professional organizations that will likely be a milestone in your educational journey if and when you plan on achieving a specific designation to work in a particular position or job. By understanding what tradeshows, networking and skill-building events, workshops, or information sessions are offered by any respected designation association or organization, you can then understand what benefits might come from choosing where you wish to focus your studies. Start your designation major or minor deliberation now by clicking on the photos and visiting some interesting professional organizations! 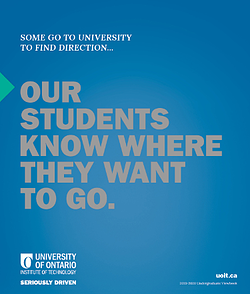 There is a lot happening on our campus here at UOIT, and it is true when others say that much of your education is life experience that happens outside of the classroom. Taking part in business case competitions through University of Ontario's Accounting Association (UOAA), Human Resources Association (HRA), University of Ontario Marketing Association (UOMA) and DECA at UOIT is a great avenue to help put what tremendous learning outcomes you accomplish in the classroom into a particular scenario; and maybe you will make a few new friends and grow your professional network along the way. Actualizing and challenging yourself to use and apply what knowledge and skills you are motivated by can give you a first-hand look at what value you can bring to a specialized field of study, and what value it can bring to you. Hopefully, at the very least, by getting involved in a club, society, or case competition event there will be food there! Don't feel that you will be defined only by what major or minor you choose, the designations that you might pursue, and your degree. Remember to try to be bold and go beyond, seek out what greatness is there for you to enjoy on our campus and outside of it. Let that motivate you to create more greatness and opportunities for others to feel enlightened, empowered, and inspired by what you do. I hope my five tips can be a helpful reference point for you as you make this important, exciting, and rewarding decision.